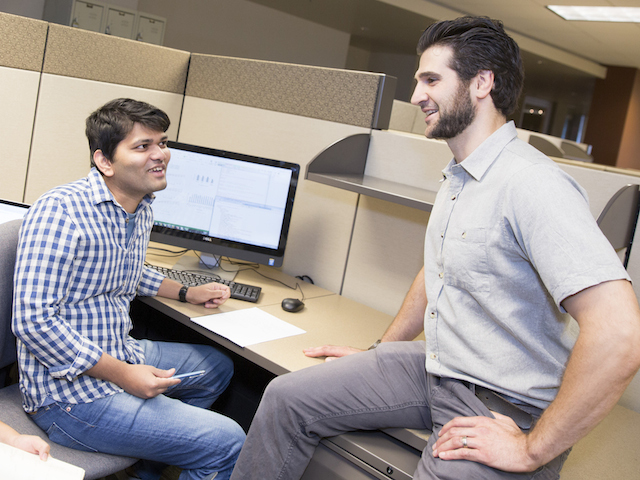 Paulo Shakarian (right) has been awarded a grant from the Young Investigator Research Program of the Air Force Office of Scientific Research to study what makes or stops information from going “viral” on social media. Photographer: Jessica Hochreiter / ASU. Paulo Shakarian has for years been trying to figure out what makes information go “viral” on social media – as well as what keeps it from happening. One possible answer occurred to him on a visit with his young son to the Hall of Flame Fire Museum in Phoenix, which is dedicated to the historical preservation of fire fighting equipment used around the world. “I was reading about an exhibit on the firefighters who fight rural fires by creating firebreaks, and it gave me an idea. 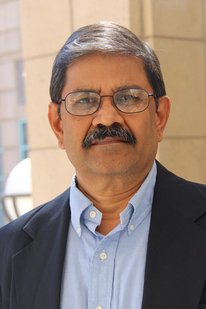 Perhaps information spreading in social media is not able to reach viral proportions because it reaches a ‘firebreak’,” said Shakarian, an assistant professor of computer science and engineering in the School of Computing, Informatics, and Decision Systems Engineering, one of ASU’s Ira A. Fulton Schools of Engineering. The potential firebreak in this instance would be in the form of a group of people who are not well connected to others in a social network, or are part of a community that is simply not interested in the message. Thus, they inhibit information from spreading. His interest and initial investigations into the area has led Shakarian to recently be awarded a grant of $354,000 from Young Investigator Research Program of the Air Force Office of Scientific Research. 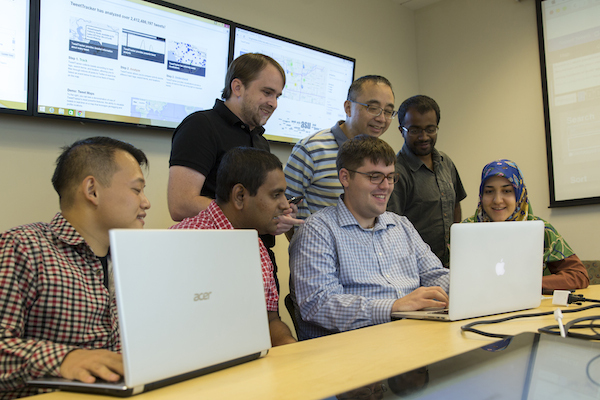 His research proposal, titled “Toward Anti-Inhibitory Influence of Online Social Networks,” was one of only 57 selected from more than 200 proposals for funding from the program. The grant program aids researchers in the early years of their careers whose work demonstrates potential for achieving significant advances in their fields of engineering and science, with the objectives of fostering creative basic research in science and engineering, enhancing early career development of outstanding young researchers and increasing opportunities for the researchers to recognize the Air Force mission and the related challenges in science and engineering. The Air Force is funding Shakarian’s research because of its interest in gaining a better understanding of how information propagates in social media. The ability to identify social network inhibitors interests researchers, industries and governments in many ways. Marketers, for instance, want to identify the inhibitors so they can take steps to work around them and reinvigorate their campaigns with a new plan. It can also be useful in identifying what inhibits content when, for example, government wants to limit or stop messages being spread by potential terror groups. Shakarian found that many other scientists noticed different things that act as inhibitors, but the topic was typically discussed only as side notes in research papers. So he began compiling a list of things that might inhibit the spread of information in a social network, and has been working to find a way to navigate around each of these obstacles. While protecting the privacy of social media users, he and his research team have been looking at anonymous data from Twitter, Instagram and Weibo (a Chinese microblogging site with more than 500 million users). With all of the content created on social media, the percentage that goes viral is very small, offering only a limited amount of examples to work with. Shakarian is a 2002 computer science graduate of the U.S. Military Academy at West Point. He held various military positions with the Army’s First Armored Division and had two deployments to Iraq. He earned master’s and doctoral degrees in computer science from the University of Maryland, College Park, and then returned to West Point as an assistant professor in 2011, before joining the ASU faculty in 2014.